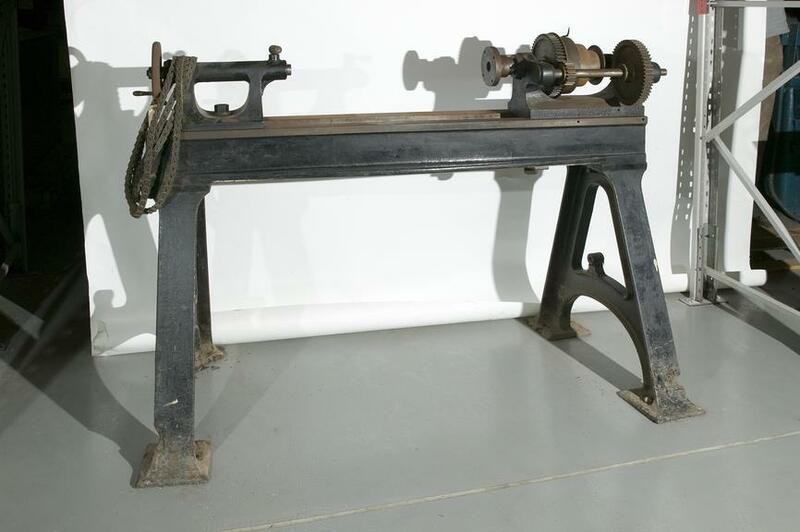 Lathe, made by J. Whitworth & Co., Manchester, 1841. Lathe no. 4 was made in 1841. 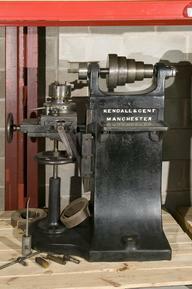 It has a lathe bed supported on two cast iron pedestals. 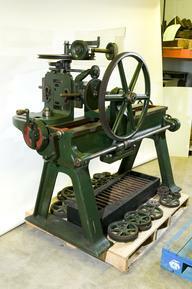 This machine does not have a mechanism for screw-cutting, which was a common use for this type of lathe. It does have ‘back gears’ which allow the operator to change the speed at which the workpiece rotates. A slow speed would be used for heavy turning, and a high speed would be used for light turning. 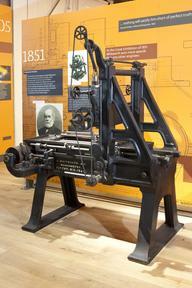 In 1839 Whitworth patented a lathe mechanism that allowed the saddle and tail-stock to move, varying the gap between it and the fixed head-stock. This lathe was presented to the Museum in 1994 by the Mechanical Engineering Department of the University of Manchester.